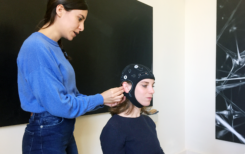 The intensity of brain activity in certain situations and during certain activities is becoming increasingly interesting not only in the field of neuromarketing but also in the general field of behavioral research. 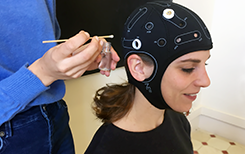 Through the integration of the EEG system “Enobio” of the spanish company Neuroelectrics to the Software platform D-Lab of Ergoneers recording the data is easy as pie. The frequencies arise from the voltage fluctuations measured on the head surface. These are filtered and displayed as alpha, beta, gamma, delta and theta waves. 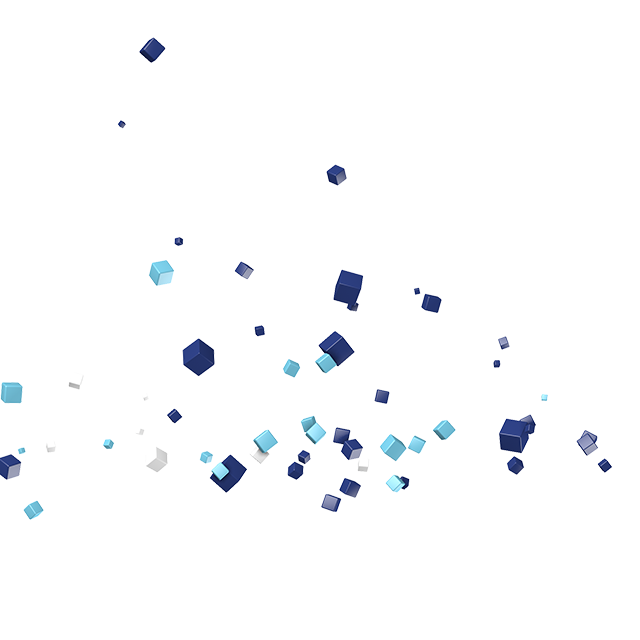 Cognitive stress, sleep/wakefulness, concentration and distraction can be derived from this. 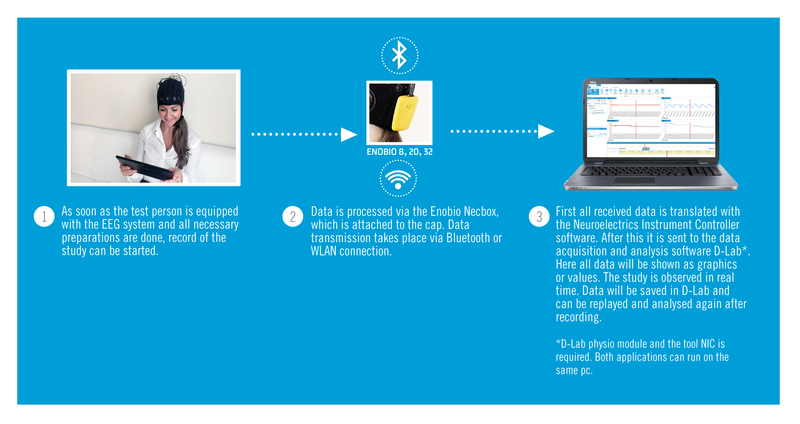 Here you can learn more about Enobio and the company Neuroelectrics. Brain activity can be measured using a non-invasive technique called EEG (electroencephalography). The activity is graphically displayed as a curve. This is a method that can be used in the diagnosis of neurological diseases, in learning research to train one’s own neural activity and to control technical devices via thoughts. Electrodes mounted at various points on the head surface measure voltage fluctuations. This is used to filter out frequencies that show special activity for certain behaviors. The so-called alpha, beta, gamma and theta waves provide information on cognitive stress, concentration and distraction levels, the test person’s stage of sleep, for example, or can stand for a certain behavior, such as “yes” or “no” in appropriate combination. Especially in the field of neuromarketing it is becoming more and more important to know how and why certain decisions are made. For example, when it comes to buying a product. Researchers and scientists are focusing on questions such as “Why does the customer choose this product? For a long time now, the use of an eye tracking system or eyeglasses has been an important tool to help find out where buyers’ eyes are going when they move in front of a shelf or through the supermarket. But today it is no longer enough to know what makes the person aware of something. Be it certain colours or samples on the packaging of a product. It is becoming increasingly important to know what is happening emotionally and in the human brain. People today are increasingly being “caught” on an emotional level. Brain activity can therefore support the understanding of how people behave, in addition to the viewing behaviour. Certain patterns that can be seen in the different waves indicate certain behaviours. The use of brain activity measurement is not only of great importance in neuromarketing. 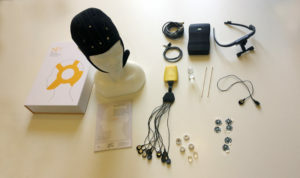 EEG systems are also used when it comes to BCI (Brain Computer Interface). Physically handicapped people can perform certain actions using nerve impulses. This makes it possible for them to control prostheses. Neuroscience also includes the field of learning research. 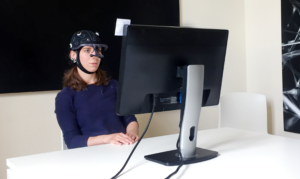 The aim here is to gain a deeper insight into thought processes by measuring and analyzing brain activity in relation to possible other behavioral data, such as gaze data. Ultimately, it can be found out whether an efficient use of the brain (e.g. through training programs) could be acquired. The possibility of connecting another sensor to the D-Lab software platform from now on reinforces the fact that D-Lab is an extremely comprehensive measurement and analysis software for our customers. 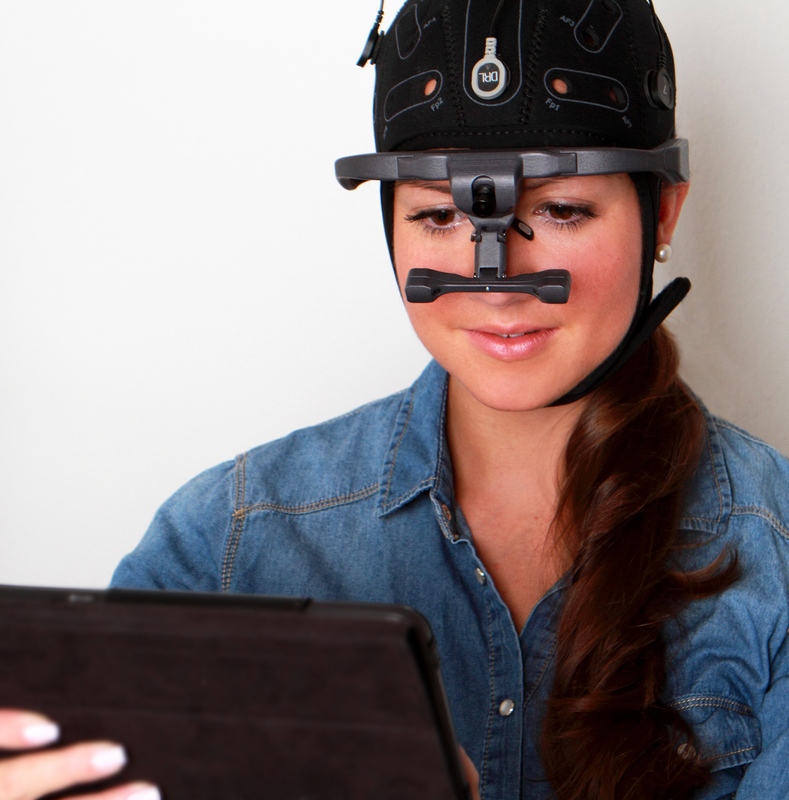 With the connection of the EEG system Enobio the measurement of brain activity becomes simple and uncomplicated. The data are sent quickly and reliably to D-Lab via WLAN or Bluetooth and can be recorded and analyzed together with other behavioral data. This wireless solution from Neuroelectrics also ensures that the subject does not feel restricted in any way, as he or she can use full freedom of movement and does not hang on any cables. In addition to the EEG system from Neuroelectrics, Ergoneers has also connected other systems that provide biometric behavioral data: Physio Sensors of the company Thought Technology, E4 wristband of the company Empatica and Physio-Logger of the company Becker Meditec.